Consider safe havens for your money while you wait out any financial storm. Here, we discuss various choices for those investors who are seeking stability in more conservative assets. Where do you put your money to add a pinch of safety to your portfolio? When there’s volatility and turmoil in the stock market, a lot of people react and turn to safer investments. It’s natural and expected behavior to be nervous when you are watching your portfolio jump and drop by double digit percentages. While some would say, stay the course, others run for the hills. My personal opinion is that you should keep contributing to your retirement plans as you always have if and when volatility hits, but you may want to reroute all your new contributions to taxable accounts into safer havens — perhaps into online banks, certificates of deposit, bonds, and tax exempt mutual funds. Let’s get to know some safe havens in more detail, because as they say, it’s always good to be prepared. Online banks have been around for a while and they represent an absolutely safe “investment” because they are FDIC insured up to $250,000 (the current legal limit). They won’t give you rockstar returns, but a steady few percentage points (depending on the interest rate environment) is something you can depend on. These accounts may also presumably offer better rates than what you’ll get from a regular bank account. Here’s a look at high yield savings accounts offered by these banks. If a couple percent isn’t enough for you, then consider certificates of deposit. 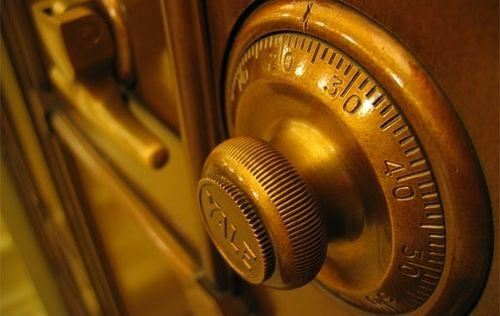 Whereas online banks offer a high rate and complete liquidity, certificates of deposit offer higher rates but force you to keep your funds locked up for a period of time. CDs aren’t totally illiquid though, you can almost always liquidate them if you’re willing to take a penalty on the interest (often ~3 months). Like savings accounts, these accounts are protected by FDIC insurance and are subject to the coverage limits. The best CD rates today are often better than savings account rates but, again, these aren’t huge numbers and they are subject to tax. Here’s a list of CD rates you can check. Savings bonds are becoming a more attractive option these days as people are worried about their principal. They are backed by the “full faith and credit of the US Government,” which means they are entirely insured with no limit whatsoever. But, are they good deals? That depends. Series I bonds and TIPS interest rates are affected by inflation, which was 5.9% for the trailing twelve months before August 2008; but in March 2011, it was lingering at almost 2.7%. Note that a 9 year, 10 month TIPs that was auctioned at the end of March 2011 has an interest rate of 1.125% (and a yield of 0.920%). You can actually check out auction results here. What’s also nice is that interest from Series I and TIPS are exempt from state and local taxes, thus boosting their return. If you use the interest for educational expenses, then Series I bond interest is exempt from federal income tax too. Check them out, they’re good options given our uncertain times. Finally, the last safe option is a tax exempt money market fund. Tax exempt money market funds are those that invest in short term tax exempt securities such as municipal bonds. Vanguard has a Tax-Exempt Money Market fund (VMSXX) that currently yields a pretty minuscule return, with a 0.17% expense ratio. But let’s take an example that shows how much you’d be making in a regular money market fund. Let’s say you are earning a hypothetical 0.5% yield with a tax exempt fund. If you’re in the 25% tax bracket, this yield is equivalent to 0.67% in a non-tax exempt money fund. Similarly, a 4% yield in a tax exempt fund is the equivalent of a taxable 5.33% yield (and the higher your tax bracket, the better is your taxable equivalent yield). Money market funds aren’t 100% safe (as we’ve seen recently with how the Lehman bankruptcy broke the buck of some major funds) but these invest in tax exempt securities which are, presumably, safer than corporate bonds. These are four viable “safe haven” options if you want to wait out ANY storm. For more on this subject, you can also check out these articles: Best Places For Your Money When The Stock Market Tanks and Where Should You Put Your Cash? 5 Steps To Safety. Editor: This is a guest post from one of the personal finance bloggers I greatly admire. Jim writes at Bargaineering.com, a personal finance blog that rocks! Jim’s blog was one of the original personal finance sites I’d surf while I was at work 😉 , a habit I haven’t broken. Pick up his daily writeups by subscribing to his RSS feed. This article was first published on October 24, 2008 and updated for April 2011. Certificate of Deposit Basics: How Do Bank CDs Work? Thanks Kurt! I’ll be publishing a follow up post to this one soon. It’s always good to know all our options. I personally find that the tax exempt money market funds are the most attractive options as they provide liquidity and high interest rates at the same time. I saw something the other day that said that almost 40% of mutual fund assets in the United States are in cash and short-term T-bills. I’m curious how that compares to pre 2008. Yeah, nearly everyone I know (thirty somethings) are hanging on to their cash for dear life right now, with 2 recessions under our belt in the last 10 years. It may be the case that the crisis effect has diminished and investors and market makers have become less conservative — which is really no surprise now that the market has seemingly recovered. Our memories are short, after all. I’ll see if I can dig up more information on this. It is rarely a good idea to move all into cash with your existing investments based on volatility in the market. If you make this move as a result of a sharp decline, you end up selling your shares at low price and moving to an investment with little return potential. Most investors will then get back in the market after it has posted strong gains, which means purchasing shares at a higher price. This translates into selling low and buying high, which is fundamentally the opposite of what it takes to be successful as an investor. Rather than rush to a safe haven when markets become volatile, consider maintaining a portfolio that has an acceptable amount of volatility through all market conditions. For many investors this will mean holding a portfolio that includes bonds and possibly some cash, money market, or other stable investment. For truly aggressive investors, market volatility is a welcome occurrence, as it presents certain opportunities that don’t exist during periods of steady growth. New contributions should rarely if ever be rerouted to cash during market declines. Instead, keep your contributions going to your portfolio to take advantage of the generally lower prices that come with a decline and bring down your average cost per share. If anything look at down markets as good entry point – not only for your contributions but also for any other money that you plan to invest this year. Bottom line, establish a portfolio that is right for you and make a plan for investing going forward. If this is done correctly, you will not be tempted to dash to cash every time the market moves downward.